When the heat from truly spicy food kicks in, you keep it at bay with whatever's handy. That might mean a gallon of milk, or dirty snow, or if you're lucky and/or thought ahead, ice cream. But it occurs to few of us to combine the two into super-spicy ice cream. Why? Because that's an insane and illogical thing to do -- but it also sounds kind of great, so sign us up? If this pain trial appeals to you, we advise you to proceed directly to Aldwych Café in Glasgow, Scotland to try the world's spiciest ice cream. It's going to be a terrible and unpleasant experience, but that doesn't mean it's not worth having -- you know, like childbirth, or going to the DMV. The expressions of the people in the video from Insider below say it all. The synthesis of dairy and death is called “Respiro del Diavolo,” or Breath of the Devil. It's 500 times spicier than Tabasco and racks up 1,569,300 SHU on the Scoville scale. That's a lot, too much in fact. 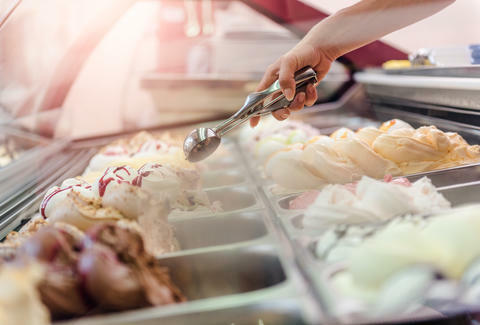 To make it, Aldwych Café is drawing from an Italian recipe from 1936 and making the ice cream from scratch with local ingredients. The staff wears gloves when they scoop it. But at least you'd go doing what you love.